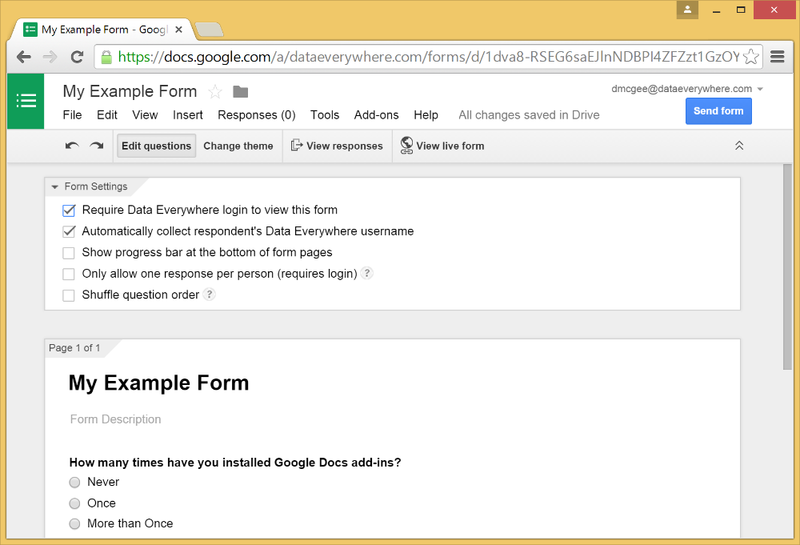 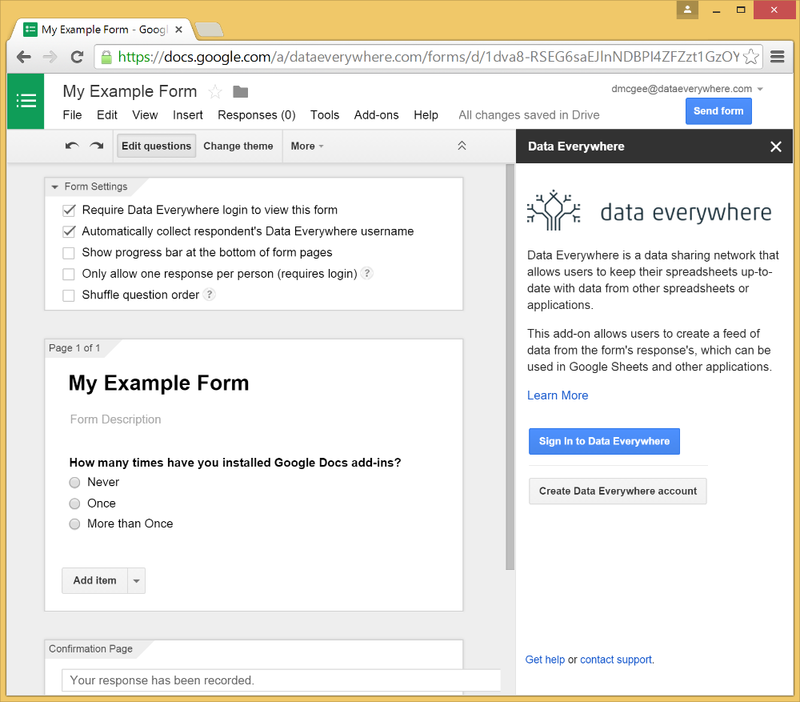 Installing the Google Forms Add-on is simple. 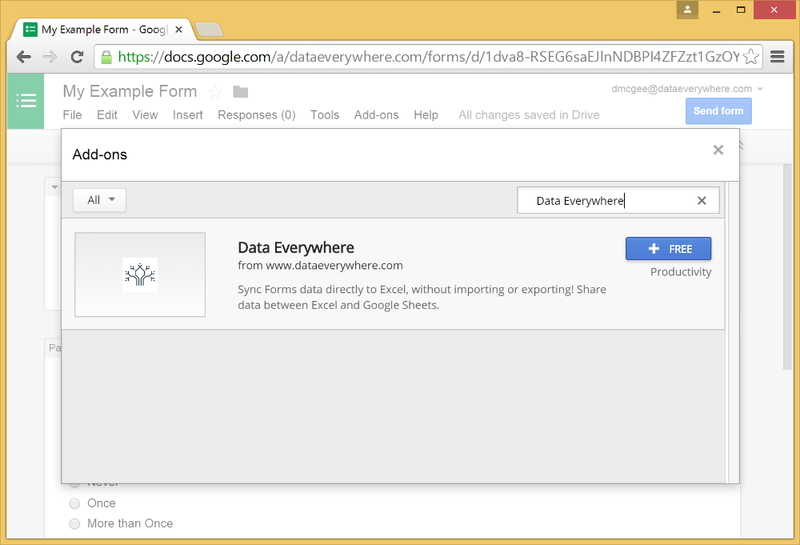 Once installed, it will be available in all of your Google Forms when started from the Add-ons menu. 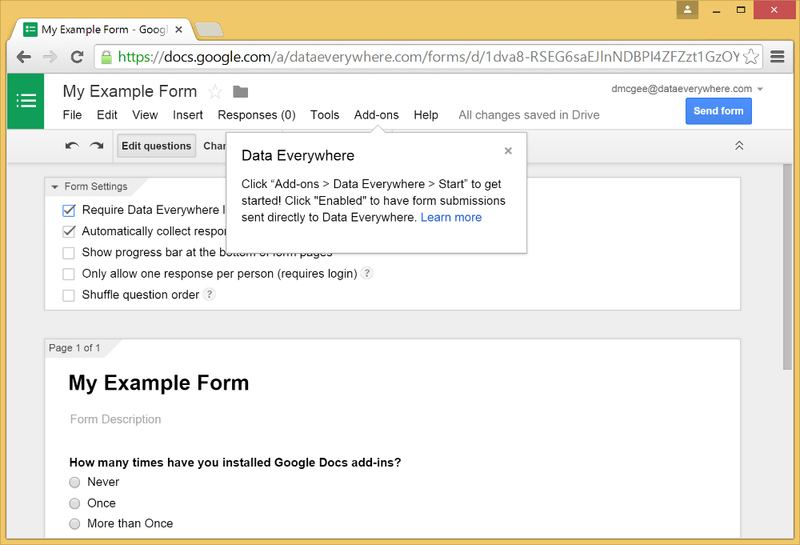 In your Google Forms document, click the "Add-ons" menu, then click "Get add-ons..."